After an extensive national search, led by an executive search firm, the Search Committee and the Executive Committee have completed the job given to them by the Board of Trustees and offered the position of President and CEO of The United Methodist Children’s Home to Rev. Hal Jones. Hal will join us full-time on August 17th and will be spending time with you, our stakeholders, in the months to come. There were face-to-face interviews, telephone interviews, meetings and prayerful discussions! We all believe Hal is the person who will lead us into a bright future with The Children’s Home! 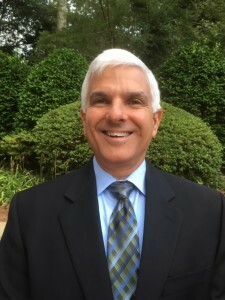 Hal Jones is an ordained Elder in the North Georgia Conference of The United Methodist Church and an accomplished business executive and leader. In his various leadership roles at Emory Healthcare and beyond Hal has accrued training and deep experience in organizational and team development, leadership development, conflict management, strategic planning, systems and process analysis, quality improvement and customer service. Hal has been driven by his vision of one day using his talents in direct service to the North Georgia Conference and its ministries. Following a six-year appointment at Mount Bethel United Methodist Church from 1978-1984, Hal became Chaplain and Coordinator of Staff Support Services at Emory’s Crawford Long Hospital in Atlanta. Hal thereafter became the Director of Management Support Services for the hospital and led Crawford Long’s newly launched quality improvement initiative. Subsequently, he became the Director of the Division of Quality Management at Crawford Long. Hal has accumulated 25 years of leadership experience serving in a variety of roles, including Vice President for Quality at Eisenhower Medical Center in Rancho Mirage, California, and Sr. Vice President for The Betty Ford Center, also in Rancho Mirage. In 2003, Hal was hired as the Chief Operating Officer at Talbott Recovery Campus in Atlanta. Hal returned to Emory in 2006 ultimately becoming Director of Emory Healthcare’s Office of Care Transformation. In 2015, Hal became Assistant Dean at Emory’s School of Medicine. Our heartfelt appreciation goes to John P. Cerniglia, CFRE, our Vice President of Development, for the untiring dedication he gave as our Acting President and CEO. We are so thankful for his leadership and are thankful for his guidance during this time of change! We are also grateful for his continuing dedication to The Children’s Home in his role of VP of Development and look forward to supporting him in that role. Please help us welcome Hal to The United Methodist Children’s Home team. First annual Fam Fest a success!